Metro Media Player (MMP) is a free media player for Windows 8 available under ‘Music & Video / Video’ section of Windows Store. You can use it for playing audio-video files in multiple formats. The main highlight of this media player Windows 8 app is regarding its capability to play online media files. It comes with support for touch-enabled devices where you can use the swipe gesture for adjusting playback speed. 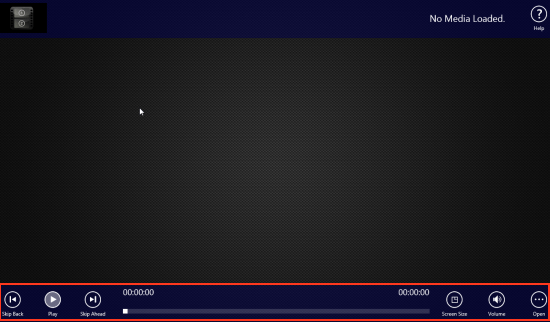 On launching MMP player for Windows 8, you will be shown following interface containing a set of controls inside horizontal bar placed at bottom. You can show or hide it by pressing ‘Win+Z’ or using the right-click. Once you are done with the procedure stated above, playback will begin. Now, you can try other controls in the Horizontal bar. 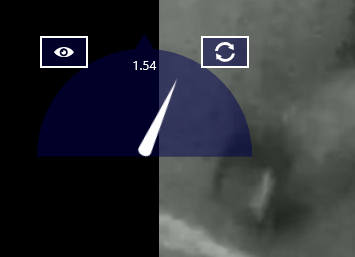 From left to right are controls to ‘Skip Back’, ‘Play/pause’, ‘Skip ahead’, ‘the playback bar’, ‘Zooming options’, and ‘volume adjustment’. Use any as per requirement. Also, check out our posts on YouTube Apps, Win8 Player, and Radio Apps. Metro Media Player For Windows 8 can be easily installed by clicking on this link. Then you need to click on ‘View in Windows Store’ button. Next, click on ‘Install’ button on app overview page. This 3 Mb app won’t take much time to install. * At the time of testing Metro Media Player for Windows 8 was unsuccessful in playing MKV and MDI files. Try installing the appropriate codecs. Looking at overall impression delivered by Metro Media Player For Windows 8, I have no issues in recommending it.